Nothing says warm days are on their way like Snookies Malt Shop reopening after a long winter. 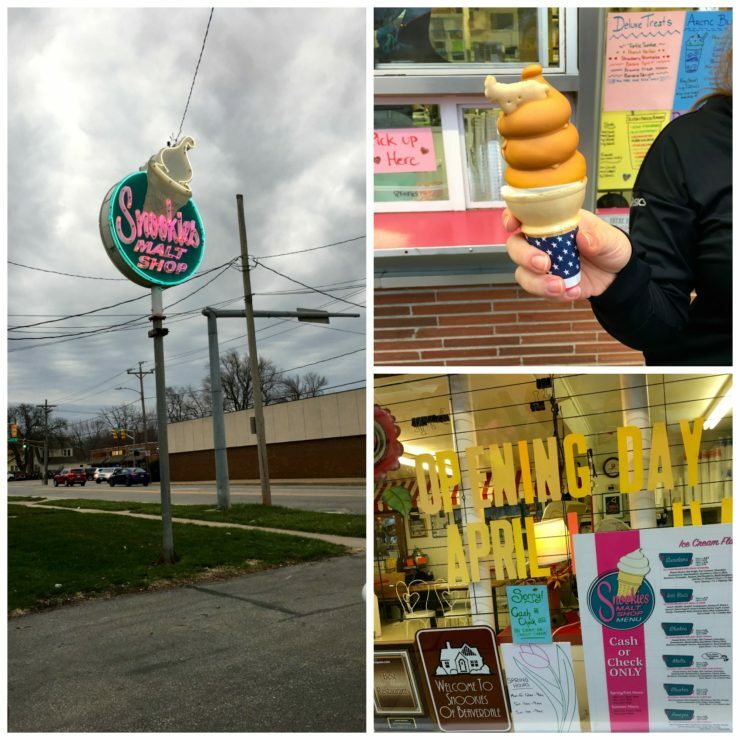 Snookies is a family owned small business located at 1810 Beaver Ave that serves up some delicious ice cream. Snookies has something for everyone’s sweet tooth; ice cream cones, sundaes, malts, shakes and even free pup cups for your furry friends. People are, understandably, excited and happy to make the trip to Snookies, unlike the other mundane tasks of every day life. “You have to go to the grocery store, but you choose to come to Snookies,” Proulx said. The shop itself is small and quaint, with most of the seating outside. There is also a drive-thru window for ice cream on the go. The shop is a great family place with a lot of charm. From the seat swings to the red picnic tables, Snookies gives their customers a feeling of nostalgia with every lick or spoonful. Each product Snookies produces is called “snart,” meaning Snookies art. Proulx said their most popular item is the chocolate malt, but her personal favorite is mixing hot fudge and black raspberry together for a decadent treat. Monday: 12:00 p.m. – 9:00 p.m.
Tuesday: 12:00 p.m. – 9:00 p.m.
Thursday: 12:00 p.m. – 9:00 p.m.
Snookies will be open all spring and summer long, and shortly into the fall months. With only a few months out of the year to enjoy the amazing ice cream Snookies serves, locals should take full advantage of the time they have to stop over and enjoy a sweet treat.